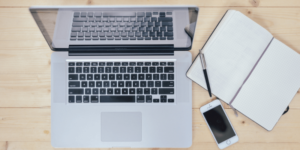 UPSC Prelims FREE Online Mock Test 2019 – All India Model Exam Available Now! 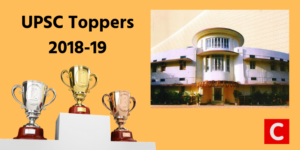 Are you preparing for UPSC Civil Services Exam (CSE) 2019? If yes, we have a piece of good news for you! You can now take a UPSC Prelims Online Mock Exam conducted by ClearIAS - for FREE! 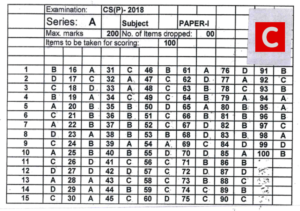 UPSC Prelims FREE Online Mock Test 2019 Yes, ClearIAS is known for surprises, just like UPSC! Today, … [Read more...] about UPSC Prelims FREE Online Mock Test 2019 – All India Model Exam Available Now! When it comes to UPSC Online Preparation, ClearIAS.com is one of the top websites aspirants trust! 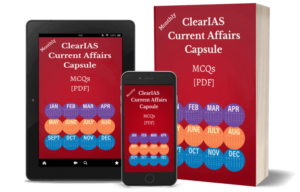 No wonder, All-India Rank 2 and All-India Rank 3 in this year UPSC Civil Services Exam (2018-19) - Akshat Jain and Junaid Ahmed - are registered users of ClearIAS. 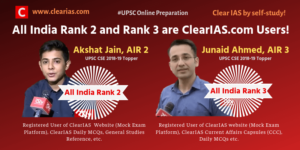 @Akshat, @Junaid - We are really … [Read more...] about UPSC CSE Results 2018-19 – All India Rank 2 and Rank 3 are Registered Users of ClearIAS! 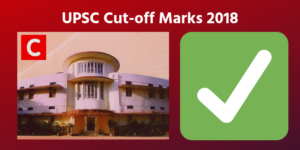 UPSC Cut-off Marks 2018 Released – You just needed 49% marks to clear IAS/IPS exam last year! 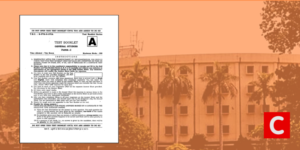 UPSC Cut-off Marks 2018 for Civil Services Examination is now available in the public domain. The minimum qualifying marks for Prelims, Mains and Interview stages of UPSC IAS Exam 2018 is released. 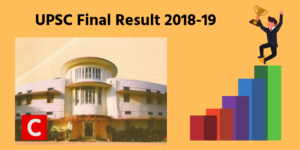 UPSC Prelims Cut Off Marks 2018 (Out of 200) About 10 months before, aspirants who wrote Prelims … [Read more...] about UPSC Cut-off Marks 2018 Released – You just needed 49% marks to clear IAS/IPS exam last year! Solving UPSC Prelims Questions Is Easy – If You Know the Right Techniques! Thank you for the tremendous response to the ClearIAS post on "Intelligent Elimination Techniques (IETs)". By this time, you know that you can find out the correct answer to most UPSC Prelims Questions, by applying IETs, even if you are not sure of the answer. 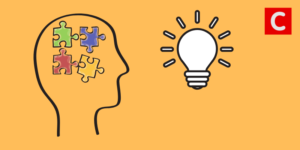 In this post, we thought to further … [Read more...] about Solving UPSC Prelims Questions Is Easy – If You Know the Right Techniques!